This is an UNBELIEVABLY LOW MILEAGE, Clean Carfax, TWO-OWNER* 1998 Jeep Grand Cherokee Laredo 4x4 with ONLY 36,711 miles!! *We just sold this Jeep to a Multiple Repeat Buyer (He bought three vehicles in less than 30 days) and he's only the second owner of this Jeep. He owned it for less than 30 days before trading it in on something else. There were no issues with it, he just eventually realized he wanted a truck. 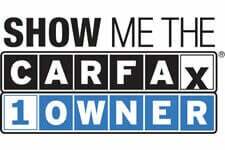 The Carfax Report still shows One-Owner because his registration has not reached the state yet. We are happy to offer this LOW MILEAGE 1998 Jeep Grand Cherokee for sale again!! This Jeep has been FULLY SERVICED with a FRESH 12/19 PA State Inspection and Emissions, FRESH Oil, Lube, Fluids and Filters, NEW front brake pads and rotors, new rear brakes, an engine tune-up and four BRAND NEW TIRES. Your new CRAZY LOW MILEAGE Jeep comes well-equipped with power windows, power door locks, power mirrors, remote keyless entry, power front seats, LEATHER INTERIOR, A/C, Cruise Control, TOWING PACKAGE, Roof Rack and MUCH MORE. I personally drove this Jeep several times. It runs great, drives smooth and all the buttons and bells work properly. PLEASE be sure to VIEW ALL 70 detailed PHOTOS at www.jimbabishauto.com. For any questions or for more information, please feel free to call or email us. We are at 698 Eisenhower Blvd., Johnstown, PA 15904, only 77 miles east of Pittsburgh, and this vehicle is for sale locally and on several other sites for $11,900. ... Always be sure to check www.jimbabishauto.com for Current Pricing and Updated Information, like mileage, options, etc. ... We are set up with several banks and offer competitive Financing rates. We take trades, WE BUY VEHICLES and we sell to people all over the World. Thanks for viewing this Clean Carfax, TWO-OWNER 1998 Jeep Grand Cherokee Laredo 4x4.